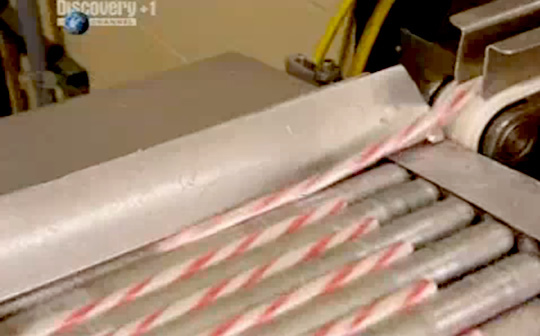 We were curious: How exactly are candy canes made? 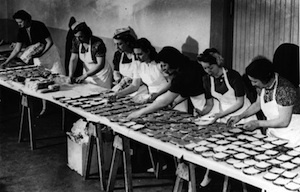 A couple of weeks ago we posted a video of the old-school candy cane-making technique still employed at the retro Candy Kitchen in Disneyland, but how is it made today, in volume? We found a great video from the Discovery Channel showing how it's done, and it's really no different than by hand, just on a much bigger, industrial scale. With mechanical machines! And conveyor belts! And robots! Amazingly, humans are still — albeit very minimally — involved.